The Debt Ceiling Compromise and Healthcare Reform - Part 2 - ONRAD, Inc.
A few weeks ago, I wrote a post soliciting some feedback from all of you on your opinions of the Debt Ceiling compromise made by the US Congress in July, 2011 in order to pass the US government’s budget for 2012. https://onradinc.com/uncategorized/the-debt-ceiling-compromise-and-healthcare-reform/ . I received some good feedback, but in general, I think none of us really knows what the ultimate effects of the compromise will be with respect to health care, but we all know that there will be an effect. As part of the compromise, a Congressional “super committee” was formed to find a way to remove an additional $1.5 trillion from the US budget. According to US News, if the super committee deadlocks at the time of their decision deadline, $1.2 trillion in across-the-board cuts will be triggered as part of the original compromise, which will directly affect Medicare and Medicaid. They have until November 23rd to find these cuts, and then the House will vote on December 23rd. Another article on the Health Leaders Media web site titled “How Debt Ceiling Shenanigans Could Damage Healthcare” describes a sort of doomsday prophecy that would be triggered by the $1.2 trillion across-the-board cuts in combination with the demands placed on the existing government sponsored health insurance system by the recently passed Healthcare Reform bill, whereby many hospitals would be forced to close. 1) On August 12th, 2011, the 11th Circuit US Court of Appeals ruled that the mandate in the so-called “Obama-care” bill that required all individuals to have or purchase health insurance was unconstitutional. Since that ruling, a similar case in the 4th Circuit was blocked due to a legal standing issue, and a similar case in the 6th Circuit was ruled in an opposite way. These differences in opinion between the US Circuit courts surely means that a US Supreme Court battle is coming over the ultimate status of the bill, and the outcome will have crucial ramifications for all of us in the health care industry. 2) On September 8th, 2011, President Obama gave a speech to a joint session of Congress in order to introduce his new “Jobs Bill”. This is a proposed $450 billion bill that the President claims will be paid for, in part, through additional cuts, beyond the original $1.2 trillion, to the US budget. To find these cuts, Obama specifically called for Congress, in his speech, to evaluate Medicare and Medicaid. With these pressures from the executive and legislative branches of our government, combined with other practical pressures, one thing is certain – there is significant pressure on the continual reduction in Medicare and Medicaid reimbursements. The extent of this pressure, and the state of medical insurance in general in the next 5 years, is still quite uncertain. A recent article on Aunt Minnie titled “Q+A: Will debt panel tackle Medicare, Social Security?” lays out a good analysis of the situation. In short, the article outlines that the cost of the US Medicare program will increase from $555 billion this year to $966 billion in 2021, according to the Congressional Budget Office, and the cost of US Medicaid is on pace to increase from $273 billion to $561 billion in the same time frame. These costs are unsustainable when considering a budget that must be slashed by $1.5 trillion (or $1.9 trillion if the American Jobs Act passes the way the President envisions) by 2014. The Aunt Minnie article points out that it is unlikely that we will see any broad reform in Medicare or Medicaid in the next year due to the pending presidential election and the split of political power in Washington today. Perhaps we will see something more reminiscent of the recent Deficit Reduction Act effects on Medicare, with more “modest” reductions in reimbursements. However, it is clear that there is a strong push for drastic Medicare reform, although it is unlikely we will see or know the extent of that reform until after the next election. With that said, the looming problem with Medicare and Medicaid funding and their respective positions in a drastically shrinking US budget are cause for concern for those of us who rely on reimbursements in order to live (whether we are patients, or health care professionals). Like it or not, these are the realities. Today, we know that the Centers for Medicare and Medicaid Services (known to us as CMS), have essentially made it their mission to find any reason they can to avoid reimbursing a health care professional for services performed. The growing complexity in coding, from ICD-9 to ICD-10, is evidence of this trend. ICD-10 coding will make it exponentially more difficult to “code” a diagnostic report properly in order to receive proper reimbursements. In addition, the system is in a state of perpetual confusion with various Medicare “intermediaries” (the private, regional organizations who are actually responsible for processing Medicare claims) interpreting CMS regulations in different ways. For example, specific areas of confusion still exist with interpreting “place of service” and “date of service” rules, especially with respect to telemedicine providers providing services across state lines. Dealing with the mix of interpretations of these regulations, and the complex interactions with local state rules, have made the universe of Medicare reimbursement today a complex jumble of seemingly incompatible rules, similar to the complex US tax code, and very few experts exist that have a true understanding of how to interpret these rules. It is a self defeating system designed to limit the very outcome it was designed to promote – proper compensation of quality medical professionals for the care they deliver to patients in need. The system will be reformed, or it will cease to exist. How Do We Cope With it All? So, what can we do as health care professionals to better manage in this world? The first thing we must do is understand the world we are in. As mentioned, there are few experts who truly understand the complex universe of rules. At ONRAD, we recognized that we needed to partner with some of those experts.  ONRAD has chosen to employ outside legal counsel from one of the nation’s top health care firms, and has evaluated professional billing services from a billing company that has national expertise in evaluating interstate billing regulations and CMS rulings, including coding complexities, that enable ONRAD to ensure that they are performing professional billing, across state lines, in the most efficient way possible. Recently, ONRAD hired an in house billing manager who helps us manage this ever changing environment. In short, if you are a medical practice or health care provider and you rely on Medicare and Medicaid today in order to provide the medical care you provide, you NEED an expert on your team that can help you navigate this world. That expert could be an internal manager, or a strong partner, or perhaps, both. The state of health care today is such that continual financial pressures from the shrinking US budget will add to the existing pressure on government run health insurance programs to reduce costs through reduced reimbursements. To deal with the complex rules and growing pressures, we as health care professionals should have experts in our corner that know how to properly navigate these murky waters. As far as the long-term future of health care in this country, it seems clear based on recent US Court of Appeals decisions that the current state of the Healthcare Reform Act will likely change. A battle in the US Supreme Court is brewing. Even if parts of the bill pass, financial considerations, when taken within the broader context of the recent debt ceiling compromise, will surely make many parts of the bill impractical. However, whether it be “Obama-care” or something else, it is 100% clear that reform is coming. The current system is, in short – unsustainable. I am curious to know what you think, so please feel free to leave your comments and feedback here, or contact ONRAD directly through the Contact Us form on this website.